SSM Holding AB (publ), Sweden’s leading property developer within smart, affordable homes, has carried out an investor transaction that involves selling 176 rental units in its Täby Turf project to property company Willhem. The selling price is 473.0 MSEK and revenue for the project is expected to be recognized during the period Q1 2019 to Q1 2021. The first tenants are expected to move in during Q4 2020. SSM has carried out an investor transaction and sells 176 rental units in its Täby Turf project to property company Willhem. The selling price is 473.0 MSEK and revenue for the project is expected to be recognized during the period Q1 2019 to Q1 2021. The first tenants are expected to move in during Q4 2020. Täby Turf is a development based on a land allocation from the Municipality of Täby that SSM won in a competition. 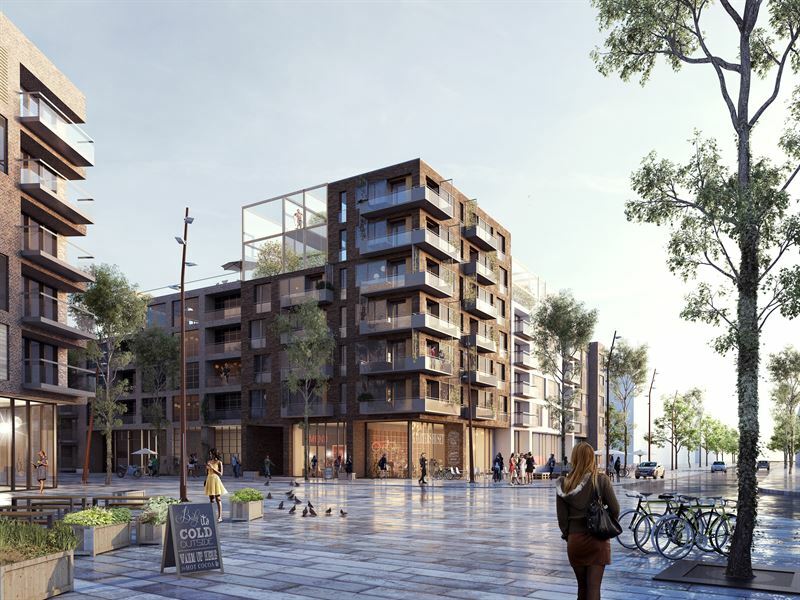 The project is part of the new Täby Park area that will include at least 6,000 new homes. Täby Turf is attractively located near Täby centrum and just 400 m from the Galoppfältet light rail station. The project is characterized by innovative architecture featuring buildings of various heights and facades of brick and plaster. The total floor space of the project is 8,666 m2 and the apartments will be one- to three-room units of 35 to 70 m2, of which 85 percent will be studio apartments and two-room units with floor space of 35 to 48 m2. There is also commercial space that includes three retail spaces and a daycare center for 40 to 60 children. – We’re very pleased that Willhem will be a long-term owner of the Täby Turf rental project. SSM’s strategy is to increase the share of rental units in production. Right now, about 40 percent of the Group’s building rights that are in the planning phase are suitable for rental units, says Mattias Roos, President & CEO of SSM. The city plan for the project has been approved and construction is expected to start during the first quarter 2019. The information in this press release is such, which SSM Holding AB (publ) is obliged to make public pursuant to the EU Market Abuse Regulation. The information was submitted for publication, through the agency of the contact person set out below, at 16.00 CET on October 15, 2018.